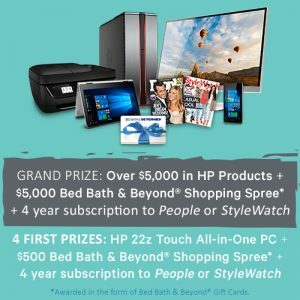 Enter the Bed Bath & Beyond Student Life 2016 Sweepstakes for your chance to WIN the ultimate prizes! You’ll be entered in the First Prize drawings AND the Grand Prize drawing. PLUS, SIGN UP TO ATTEND ONE OF OUR STUDENT LIFE SHOPPING NIGHT IN-STORE EVENTS!